Journal of Cognitive Behavioral Psychotherapy and Research. It is a peer-review, scientific journal. 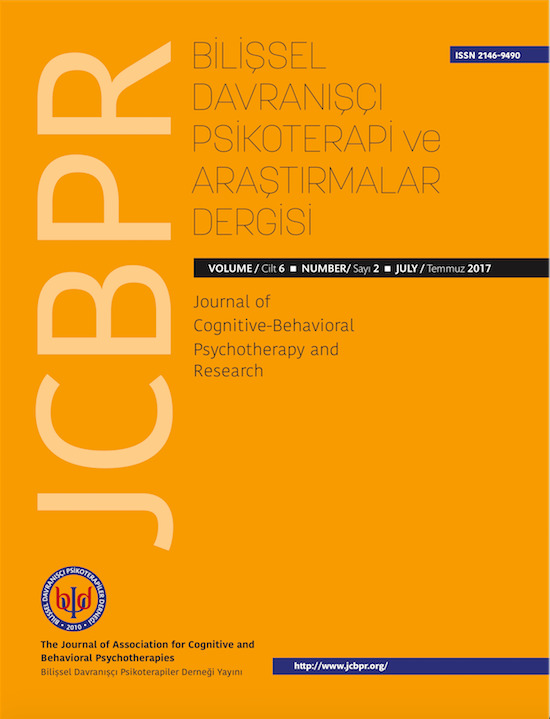 Although the JCBPR will be published in Turkey, we are aiming to have an international reputation in time, the publication language of the Journal will be English and Turkish. JCBPR will be published three times a year. We are aiming to offer a fast publication period and practical scientific knowledge in this journal. Our other priority is to be accepted by the national and international scientific indexes as soon as possible.